The Apprentice: Where Are The Winners Now? ‘The Apprentice’ has simply become a bastion of British television – becoming famous for its arguments, boardroom put-downs, drama – and a whole lot more. It is hard to believe that the series has been running for well over a decade. In this article, we take a look at all of the winners, and see where they are at now. Read on to see a range of stories – from success to suing Lord Sugar himself, we’ll bring you up to date! The first winner of the series was Tim Campbell. Campbell celebrated his victory by working at Amstrad for a few years. Following this, Campbell set up the social enterprise ‘Bright Ideas Trust’ – attempting to support young entrepreneurs emanating from disadvantaged backgrounds. Since, Campbell has been awarded an MBE for services to Enterprise culture. Michelle Dewberry claimed a surprise victory back in 2006, seeing off favourite Ruth Badger to win the second series. However, Dewberry left her job with Sugar after just a year. She later set up her own consultancy firm. Dewberry ran in the 2017 UK general election, and frequently makes TV appearances. Coming into 2007’s Series Three, everything appeared to point towards a Simon Ambrose victory. Ambrose was the son of the owner of Optimax – the large laser eye surgery clinic. He attended the same school as former Liberal Democrats leader Nick Clegg, and was a member of MENSA at the tender age of just 13. Ambrose duly delivered, claiming the victory. He went to work for Lord Sugar’s Amsprop business. He now serves as the Chairman of the London Contemporary Orchestra. Lee McQueen won the 2008 version, despite having courted controversy for lying about his University achievements. McQueen is perhaps best-known for infamously calling in sick on his first day at Lord Sugar’s Amscreen. He left in 2010, before setting up a digital media business with Simon Sugar – the son of Lord Sugar. He has since set up the ‘Raw Talent Academy’. Despite a rocky start, McQueen had proven to be a successful winner of the show. Yasmina Siadatan won the fifth series of The Apprentice in 2009. A victory in the final over Kate Walsh led to a job at Amscreen. Yet after falling pregnant four months into her role at Amscreen, she didn’t return to the company following her maternity leave. Since this, she was headhunted by former Dragon’s Den star James Caan. She currently works as a creative director of ‘Start Up Loans’. Take a deep breath… Perhaps the most infamous winner of them all, Stella thrived despite coming from a disadvantaged background. Prior to her appearance on the show, she worked in an £800,000 per year job at a Japanese investment bank. She won the 2010 version. She worked at Sugar’s Viglen after winning, yet left after just 13 months when her contract wasn’t renewed. In the aftermath, she suggested she was merely an ‘overpaid lackey’. She subsequently attempted to sue Lord Sugar for constructive dismissal. However she failed to win the case, and was unfortunately pictured at Jobcentre. She now works with ‘Crowd Box’. The knock-on effects of Stella’s implosion seemed to scar Sugar, who set about shaking up the format of the show in 2011 – with the winner now securing a 50/50 business partnership with Lord Sugar. The first benefactor of this was the lovable Tom Pellereau, who defeated favourite Helen Milligan to win. He started Aventom, with the nail range ‘Stylfile’ being launched soon after. His investment has proved very successful. He has since created numerous other inventions, and is still going strong with Lord Sugar at his side. Last year, Aventom generated £440,000 in profit. The 2012 series was won by former professional-wrestler turned businessman Ricky Martin. Following his victory, Martin set up a recruitment company with Lord Sugar. This company combined the power of science and technology for recruitment solutions. He continues to partner with Sugar, with the firm last year making a £400,000 profit after tax. The 2013 series was won by Leah Totton, who defeated Luisa Zissman in the final to win the £250,000 investment. The money was put into a cosmetics clinic in London named ‘Dr. Leah’. A range of treatments are available at the clinic, with a second clinic recently having been opened. The firm secured a profit of £216,000 last year, and appear to be going from strength-to-strength. Series Ten ended up with Mark Wright (No, not that one) winning what was a largely forgettable series. Wright defeated arch-nemesis Daniel Lassman on the way to victory. Following his win, he launched a digital marketing website named ‘Climb Online’ with Sugar, which continues to grow. In the last financial year, the firm secured a profit of £500,000. Series Eleven witnessed Joseph Valente securing the investment. Critics of The Apprentice could point to the moment a plumber won the show as the lowpoint of the series. Valente, who called himself “the godfather of Business” (yes really), started ImpraGas with Sugar in the aftermath of his victory. In 2017, after an indifferent start, Valente bought out Sugar’s share in his business, and he is now the sole owner of the business. Unfortunately, the business has ran up losses of over £100,000 so far. Since, Valente has set up JV Empires and Gentelmanco. Series Twelve was won by Alana Spencer. As if plumbing wasn’t questionable enough, 25-year old Welsh entrepreneur Spencer won the show with a cake brand – ‘Ridiculously Rich’. The business underwent some teething problems – with allergy concerns marring the launch of some products. In the first year, the firm managed to gain a profit of £22,500. Every X Factor Winner… Where Are They Now? 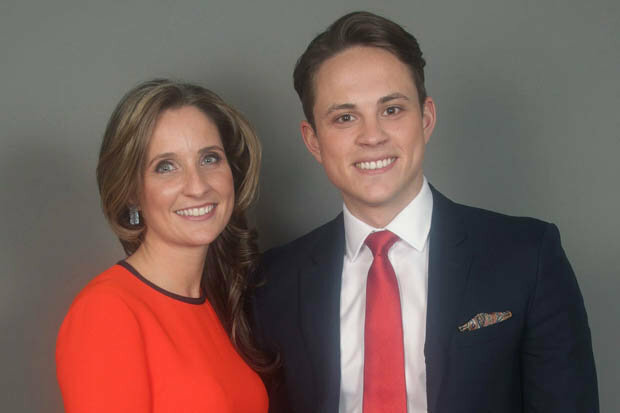 All hell broke loose at the end of series thirteen when Lord Sugar couldn’t split James White and Sarah Lynn – with the duo both securing the £250,000 investment. The decision caused Twitter to react in many ways. Sarah expanded her ‘Sweets in the City’ business, with Sugar becoming co-owner. The business has been growing steadily in the mean time, having improved its website and range of goods. The website offers its users the chance to send premium sweets and other goods to friends. Her goods are also being stored in Harrod’s. White meanwhile hit the news with some rather unfortunate headlines, but soon put that behind him. His company – Right Time Recruitment, has seen its staff numbers increase hugely since Sugar’s investment. The business appears to be steadily growing. Both of Sugar’s investments have worked out well so far. Next Next post: Brunel Bikes To Launch Next Spring Following Last-Gasp Donations!